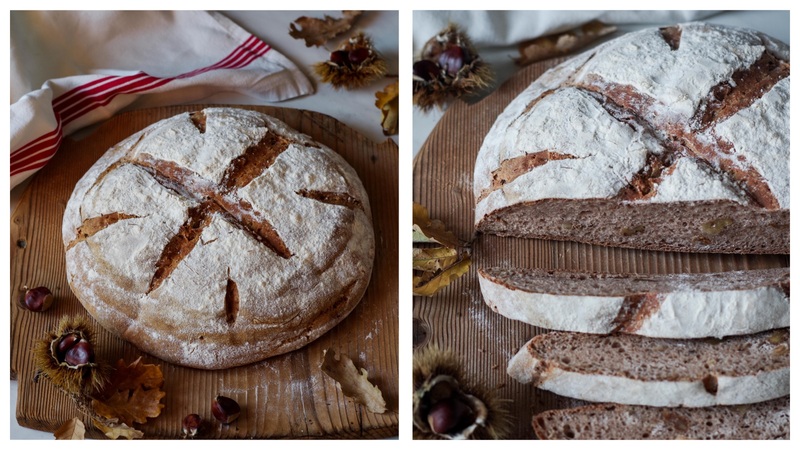 Martino’s chestnut bread and a story to tell. You should know that few months after the opening of my blog I started offering Italian Riviera cooking classes to tourists visiting Genoa. The answer was immediate as well as surprising. Despite the beginning crowded of doubts and anxieties – as it always happens to me – one thing was clear to me right away: from the entrance of all those travellers in my kitchen I should have learned a lot, me too. With some delay, however, I realized what my friend Lorenzo – who several times anticipated me – suggested me long ago when I was contacted by a French journalist who wanted to learn how to make pansoti for telling them in a book about filled pasta in the world: i.e. that I could tell here the stories of some of those people coming to learn my traditional cuisine. And so today I decided to share with you some of these meetings, starting from the story of an elegant charming lady coming from the Far East. Hiroko. Hiroko travels the world doing cooking classes. Twice a year she takes the flight and begins her journey through the kitchens of different nations. 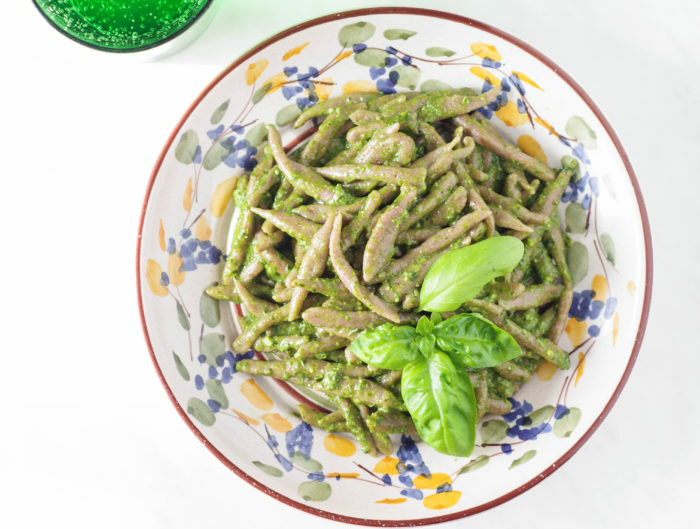 She arrived in Genoa because she wanted to learn how to make pesto. With “real basil,” he clarified, because the one she cultivates at his home in Tokyo has too big leaves.She was arriving from Venice but before she was in Naples, in Israel and in Iran. 7 traditional cooking classes in 3 weeks before entering my kitchen. Beautiful tiny person Hiroko, always smiling. I asked her if her culinary experiences were part of her work, if she was perhaps writing a book. She replied that no, she simply wanted to discover different cultures through the innermost door, that of the kitchen, and to learn about many national cuisines in order to be able to capture differences and contaminations. Actually she did not know yet what she would do with all that knowledge. One thing is certain, however: travel after travel Hiroko already definitely did something. She put on a great messy kitchen full of dishes of all shapes and colours and exotic kitchen tools hung on the walls (she always goes back home with very heavy suitcases). Her pantry is immense and ordered by nations (if she doesn’t buy raw materials on site, she finds the way to procure them in her country). But above all she has a boundless gastronomic culture with which she plays and have fun whenever the dinner hour approaches making her three sons and friends happy. Ah! Marvellous power of knowledge that shapes, amplifies and frees the spirit! Okay, now let’s go back to the ingredients that actually enters my kitchen with the recipe I want to share with you today. The markets’ counters these days are dyed of the same shades of the woods in autumn: the mottled red of the apples, the intense orange of persimmons and pumpkins, the dusty beige of mushrooms, the round sparkling brown of chestnuts. All these colours recall hot, comforting, nutritious flavours like that of Martino’s chestnut bread, whose recipe I want to share today. 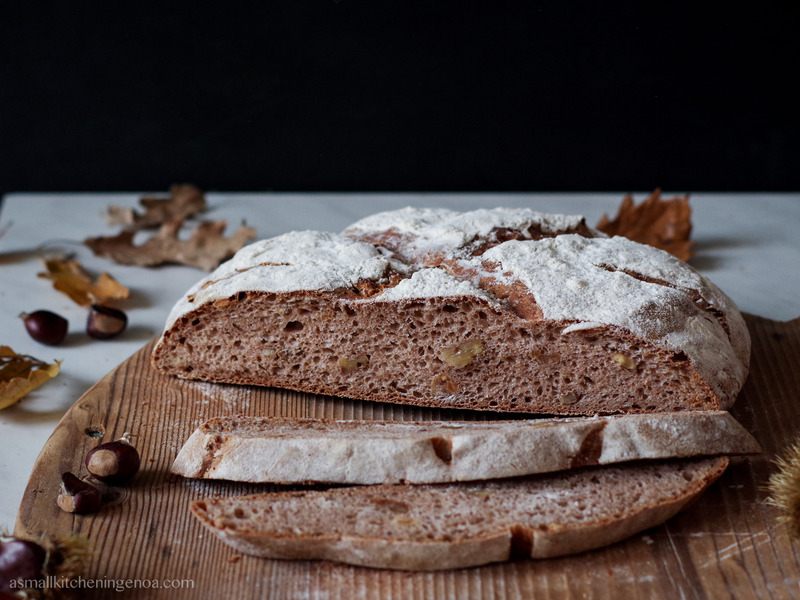 Martino chestnut bread is a traditional bread, prepared with chestnut flour and enriched with walnuts. 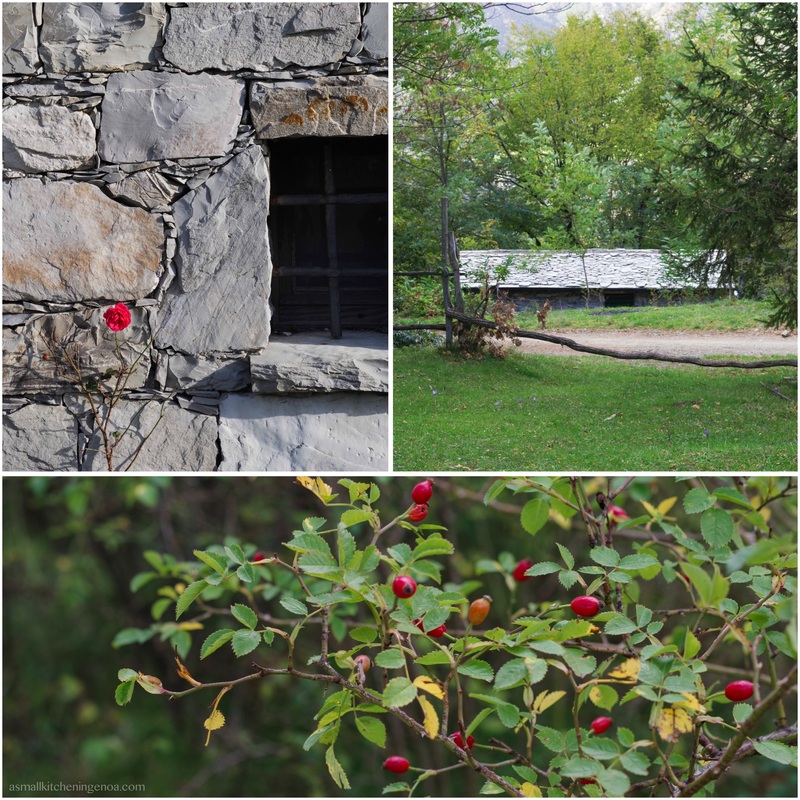 It is consumed in autumn and winter throughout the Italian Riviera mountains. There chestnut trees are many and for centuries they were the main source of livelihood for entire communities. 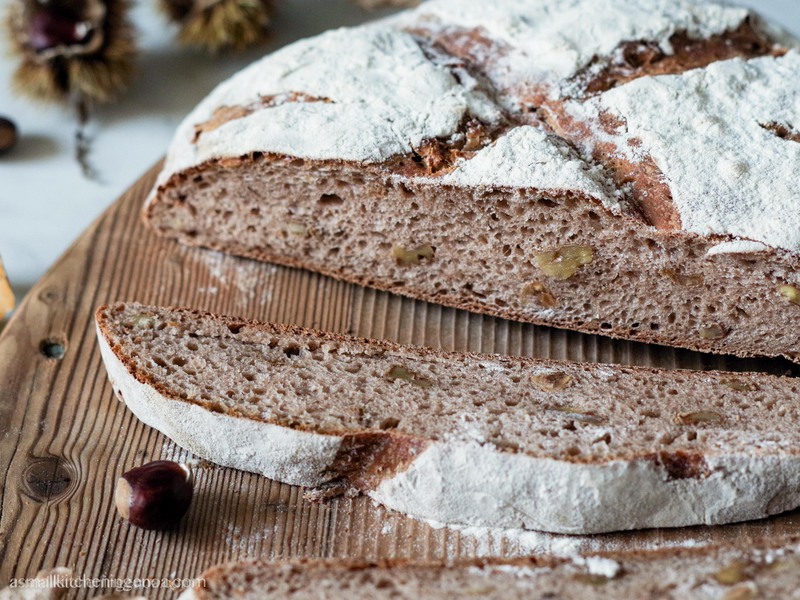 Dried chestnuts turned into flour, in fact, become bread, dumplings, pasta, cakes, sweets. 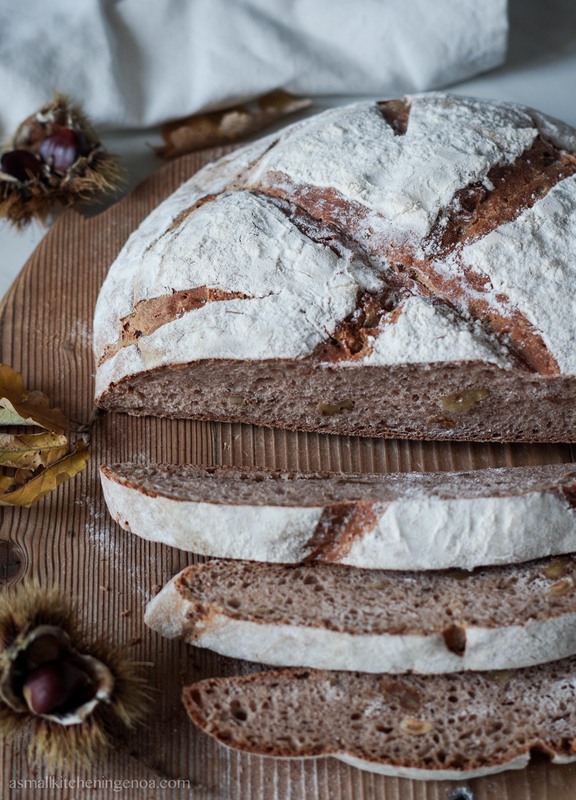 The name Martino probably comes from Stain Martin feast, taking place on November 11th, when traditionally chestnut flour was considered ready to be used. It is a dense, spongy, fragrant and substantial bread. I use to eat it in the morning with a veil of chestnut honey, but usually we serve it with charcuteries and cheeses. A good idea, then, is to use the bread left over – IF it left over – is to make croutons with it seasoned with oil and salt to accompany mushrooms or pumpkin soups. Try it, make it yours and test! Melt the yeast in a bowl with water at room temperature. Add the flour, mix quickly until it is combined, then cover with a transparent film and let it rest at room temperature overnight (12-16 hours). Melt the fresh yeast in half water. In the mixer dough pour the two flours, the started dough, the lukewarm water with the yeast. Mix at low speed and gradually add the remaining water, holding about 50 ml, and the oil. When you begin to get a smooth, homogeneous dough add salt and then, after a minute, the chopped walnuts. Shape the dough in a ball and put it in a bowl to rest for about half an hour. Divide the dough into two parts, make round loaves and let them rise in a well-floured basket or on a wooden board for approx. 90 minutes or until the volume is doubled. Heat the oven to 220°C, overturn the loaves on a lined baking tray and cook for about 20 minutes, then lower the oven to 180°C and cook for another 20 minutes until golden. Chestnut flour gained a space in my pantry when I tasted a very good one, as it alway happens by the way. The occasion was the Dried Chestnuts Fair, a fair that takes place each november in Val Bormida (Savona back country) and which celebrates chestnuts, a food that for centuries was essential for the survival of those very poor paesants comunities. Val Bormida Dried chestnuts, indeed, were recognized as a Slow Food Presidia of the Italian Riviera and their milling produces an incredible flour: sweet, full-bodied, and with light smoked notes. 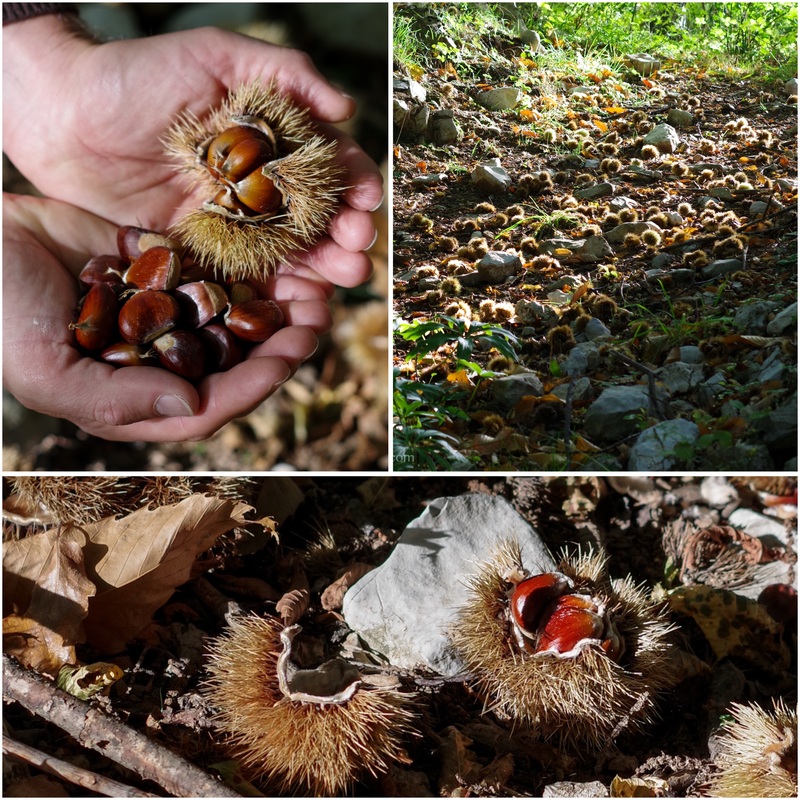 Since then with chestnut flour i prepared – besides Martino chestnut bread – some chestnut gnocchi, chestnut tagliatelle pasta and the unfailing chestnut trofie, a traditional handmade pasta of Tigullio Gulf. 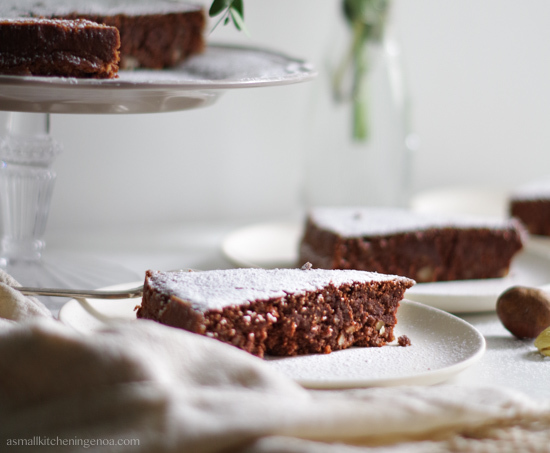 With dried chestnut – rehydrated of course – I also prepared my perfect and gluten free chestnut and chocolate cake! A nice recipe, which I reserve to try in these days as it seems perfect for closing a dinner with friends, is the one that Giulia Chestnut flour and chocolate drops biscotti. Finally, if you are looking for inspirations on how to cook all those fall ingredients that color the markets, have a look at my Pinterest board |COOK| Autumn , maybe you can find some cue! Don’t miss a post! sign up to my NEWSLETTER! 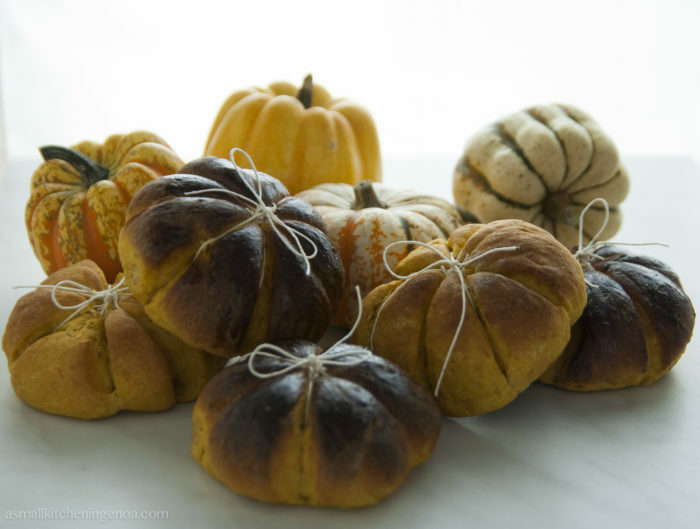 Pumpkin buns of Murta, when fall advances.